The August nonfarm payrolls report in the US showed that the economy added 151k jobs during August, which was lower than forecasts of 180k. The US unemployment rate was unchanged at 4.90% missing forecasts of 4.80%. However, previous month’s payrolls were revised higher to show that July’s payrolls increased by an additional 20k to 275k. 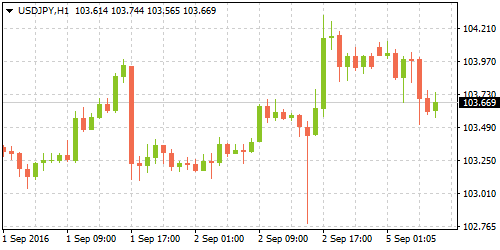 The US dollar initially fell only to retrace its losses later. Consumer sentiment in Japan strengthened in August, according to data from the Cabinet office released on Friday. It rose to 42.0 in August, compared to 41.3 in July. Economist forecasts were for 41.8. Among the factors leading to the improvement in consumer sentiment were income growth and overall livelihood which improved 0.50 and 0.40 points, respectively. Construction activity in the UK continued to contract in August, but at a more moderate pace than July. Data from Markit showed that the UK's construction PMI rose more than expected to 49.22 in August. The latest data suggests a moderate pick up in construction activity though the sector continues to remain in contraction with the PMI index seen below 50. 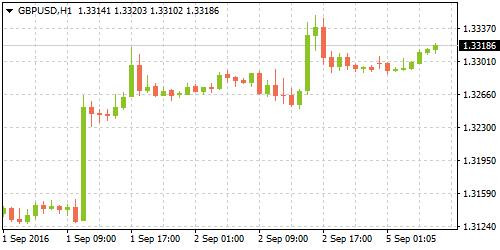 The data was in stark contrast to Thursday's manufacturing PMI which was boosted by new orders on a cheaper sterling. Industrial producer prices in the Euro area rose 0.10% in July, matching estimates. 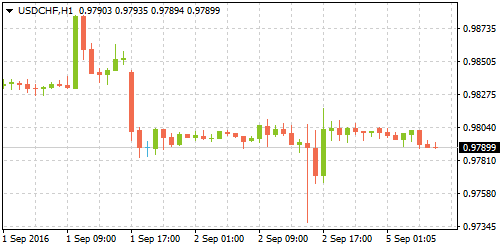 Data from Eurostat released on Friday showed a moderate pick up from June's 0.80%. On a year over year basis, industrial producer prices fell -2.80%. 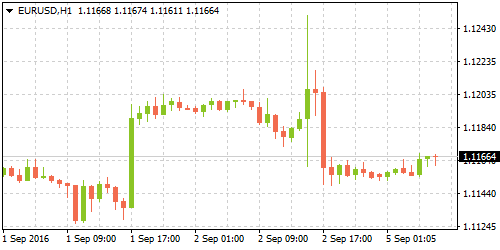 The monthly gains came due to increased non-durable consumer goods and intermediary goods prices. The energy sector continued to remain a drag, unsurprisingly. Factory orders in the US rose 1.90% in July marking one of the largest month over month increases since October 2015, data from the commerce department showed on Monday. The monthly increase offsets the previous two months of declines. The gains came with an uptick in orders from the transportation equipment category which rose an astonishing 10.60%. However, new factory orders remained weak, and auto sales continued to remain steady.